Proper naughty, this one. In ‘Back To My House’, Italian pair Moonwalk have cooked up a riotous banger to kick off your weekend. It’s pretty straightforward four-to-the-floor dancefloor material, with bellowing bass and the general atmosphere of that time in the latter stages of a club night when things start to get very serious. Say hello to the weekend. Something a little longer, a little more louche, a little more leisurely for you now. It seems unlikely that very-inoffensive-but-actually-rather-good balladeers Bombay Bicycle Club would have come to mind when UNKLE were pondering their next move. But thank goodness they did. This ‘reconstruction’ (no less) of BBC’s ‘Feel’ is only the second official remix from James Lavelle’s sonic pioneers in the last four years, and it’s a really lovely piece of music. Trading the original‘s jaunty countenance for an altogether more epic mood, this brilliantly-layered rework develops into a hands-in-the-air stomper that evokes another 90s throwback, Andrew Weatherall’s excellent remix of Moby’s ‘Another Perfect Life’ from last year. And it’s brilliant. ‘Lost in the City’ has been around in various forms for some time, but it is now available on the deluxe edition of Maya Jane Coles’s ‘Comfort’ album and it appeared on her Soundcloud page yesterday. It’s a typically atmospheric number, with an insistent low-fi guitar riff and all sorts of moody effects and echoey vocals. It’s good. If you’re a discerning festival-goer, you might catch MJC at the niche end of the circuit this summer: she plays Roskilde, Opene’er and Balaton Sound Festivals, amongst others. Or if you’re feeling less adventurous (but just as rich), you can see her at Glastonbury next month. Date for the diary here guys. 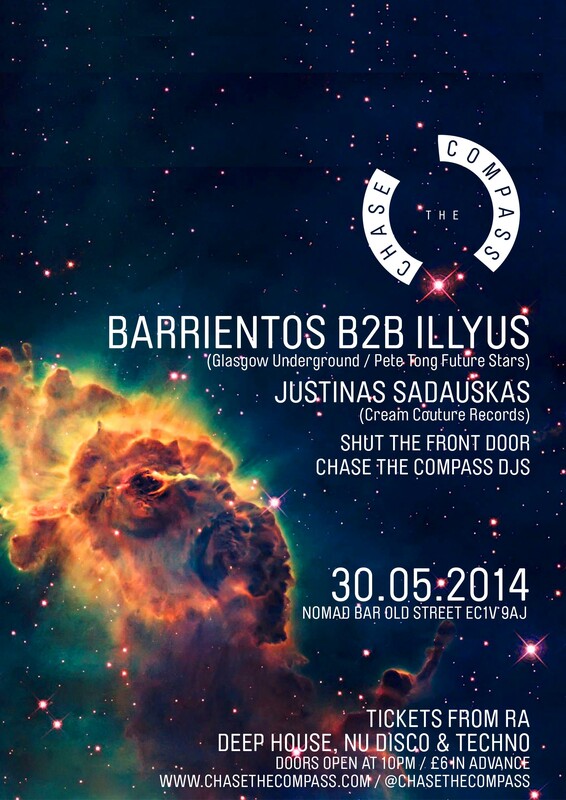 Pals of HD, Chase the Compass, are dipping their toes into the party game with a tasty little line-up at Nomad Bar in Shoreditch on Friday 30th May. Sounds fun right? More info here and tickets here. Get stuck in.